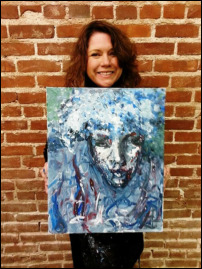 "Where the FUN HUMAN meets the BRUSH" FUNDRAISING EVENTS ARE NOW AVAILABLE!!!!!!!!!!!!!!!!!!! 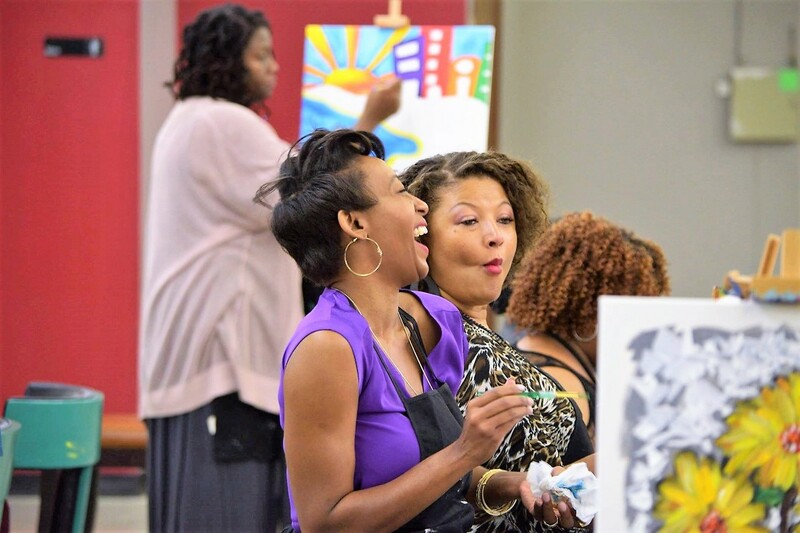 PAINT WITH A PURPOSE ******* BOOK A PRIVATE PARTY ******* VISIT OUR "STORE" FOR GIFT ITEMS ******* SUBMIT ALL PHOTOS USING #QBHOMEPAINTANDSIP ******* BIRTHDAYS, BAPTISMS, SORORITY SOCIALS, GRADUATIONS, BRIDAL SHOWERS, GIRLS' NIGHT, DATE NIGHT, FAMILY REUNIONS & MORE!!!!!!! ******* "Where the FUN HUMAN meets the BRUSH"
"There’s a warm, welcoming atmosphere with a genuinely good hearted, extremely talented host. ​ It’s an awesome experience!" ― Charlie J. ART IS A REMEDY FOR A SOUL!! Grab some friends, bring your own wine and snacks - and we take care of the rest! You will be guided through this event, step-by-step by one of our professional artists. Through the expression of feelings, art reaches into the inner world of our being, inspires and makes us humane. Art is a remedy for a soul. At QBHOME Paint & Sip, admirers of art fall in love with the environment of atmospheric abstraction. Join us as we transform into the persona of Pablo Picasso or step into a pair of Vincent Van Gogh's shoes. 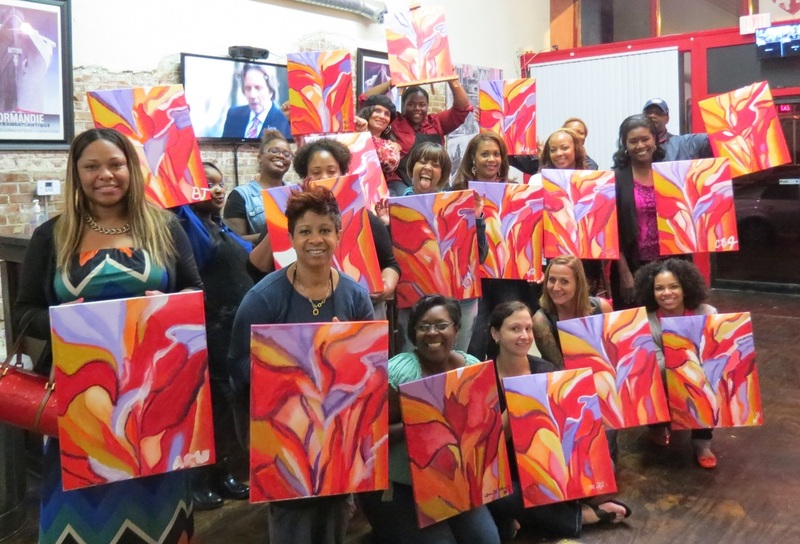 Pair your artistic abilities with wine, cocktails, or nonalcoholic beverages and hors d'oeuvres (BYOBH). 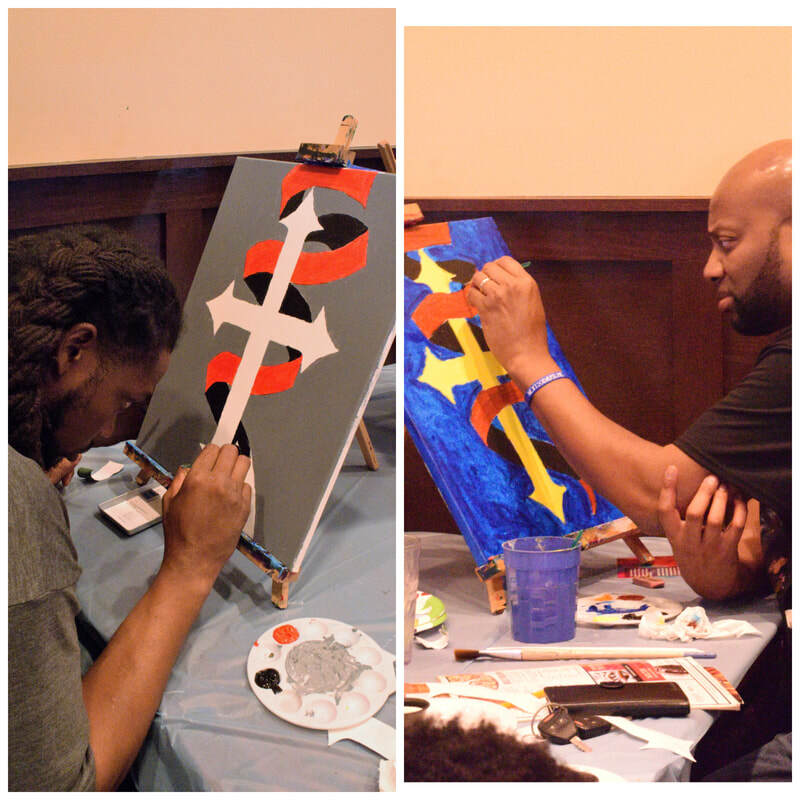 Experience the philosophy of joy & passion through our paint sessions. You will be guided through this event, step-by-step by one of our professional artists. Creativity begins when the artists pre-select a work of art to recreate; ranging from subjects of abstract and natural object to classics, such as Wassily Kandinsky Trees of Life. All supplies, including canvas, paint, easels, and brushes, are provided by the studio. Grab some friends, bring your own wine and snacks - and we take care of the rest! We look forward to meeting, greeting, mingling, and networking with you.